In the first week of September EXARC, together with Csiki Pihenökert, hosted a conference in Hungary. With participants from seven countries we worked on live interpretation, living history and education in archaeological open-air museums and similar places. Our themes were “live interpretation and education: behind the scenes and international stories”. Participants from Hungary, Germany, Poland and Lithuania prove that these matters are taken very seriously not just in Scandinavia and the UK. The number and variety of sites and festivals is rising fast anywhere. Presentations included examples of historical and archaeological sites, open to the public, education facilities and archaeological open-air museums. 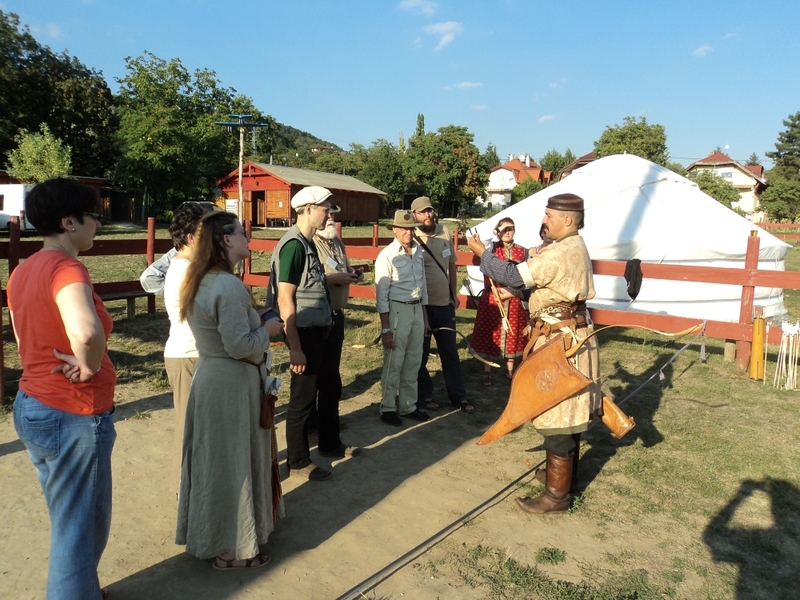 Several experimental archaeology activities were also discussed in detail, like iron smelting and (re)constructing the famous Hungarian bows. Besides scientific and education, these venues and activities also bear importance for people to feel at home in their region and connect to their past. It was an interesting program, we learned and saw a lot in these days and we are especially happy about all new contacts. We’ll meet again!